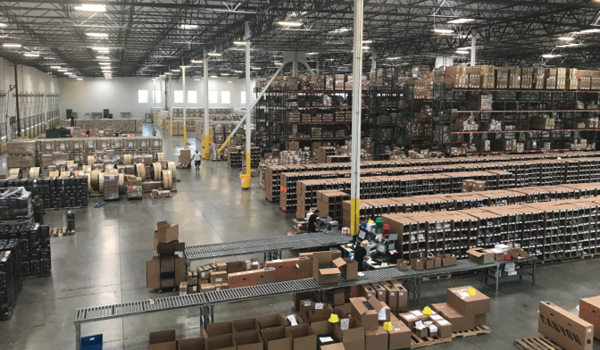 As retailers transform their market strategy to embrace new e-commerce and marketplace channels, their supply chain must be ready to pivot as well. Some brick-and-mortar merchants are adding online sales, direct and through partners, while some online retailers are investing in physical stores. Either way, e-commerce will continue to play a larger role in retailers' strategies. Omnichannel is not just a logistics decision. Re-orienting the company to embrace omnichannel retailing requires integration with IT, sales and marketing, and procurement as well as transportation. No matter which direction a company is headed, it's easier to ramp up new channels by partnering with trusted resources such as 3PLs to create a branded experience across the array of customer touchpoints. 1. OMNICHANNEL IS CROSS-FUNCTIONAL. It's an enterprise-wide transformational strategy, not a supply chain initiative. IT will require involvement from all quarters including IT, procurement, marketing, and sales as well as logistics. 2. INTERNATIONAL PRESENCE. Consider international sales as a new channel; few U.S. brands have a large presence in foreign lands. Those that do have developed a cachet that plays well. Keep in mind that international sales require capabilities in translations, currency conversions, and trade regulations. 3. INCLUDE RETURNS IN PLANNING. Some omnichannel transformation strategies start with the returns process. That approach allows you to work your way up the chain from the consumer to the distribution center. Return rates are higher for some sectors than others; apparel and shoes typically are sent back most often as people order multiple sizes to try on. 4. ADAPT MEASUREMENTS TO CULTURE. Tie online sales to store performance to engage the retail culture. Using stores as buy-online-pick-up-in-store points leverages the physical locations for upselling opportunities and expands the logistics footprint. 5. UPGRADE DATA EXCHANGE. Migrate from outdated EDI processes and adopt APIs and web services to transfer key product and logistics information. EDI is too slow to support the real-time decision-making required to support omnichannel retailing.